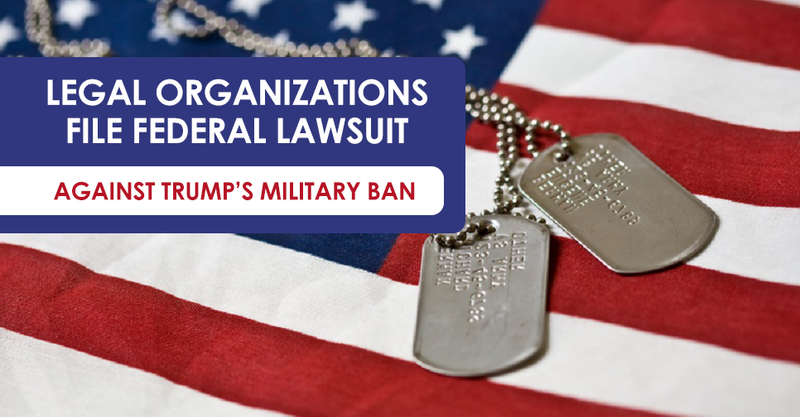 Today, the legal teams at GLBTQ Legal Advocates & Defenders, the National Center for Lesbian Rights, and Foley, Hoag LLP and WilmerHale filed a federal lawsuit against President Donald Trump’s efforts to prohibit open service for transgender military personnel. The plaintiffs in the lawsuit, entitled Doe v. Trump, are five transgender service members from the Air Force, Coast Guard, and Army with nearly 60 years of combined service in the United States military. Learn more about this important lawsuit.